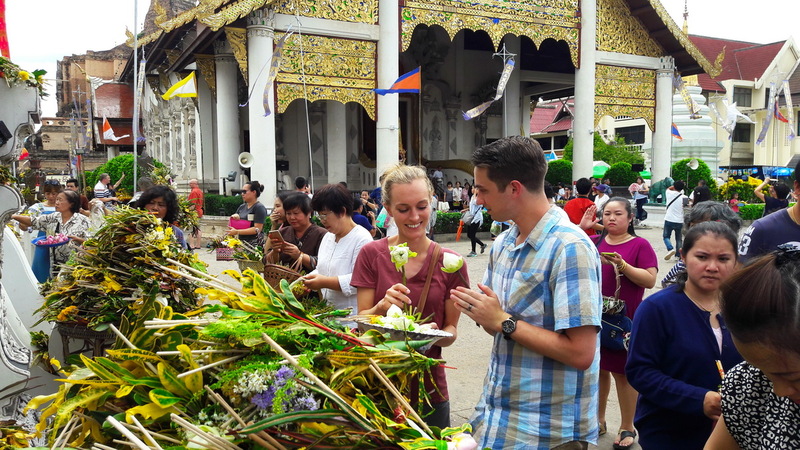 Inthakin ceremony is known as Tham Boon Khan Dok or Flower Bowl Blessing. 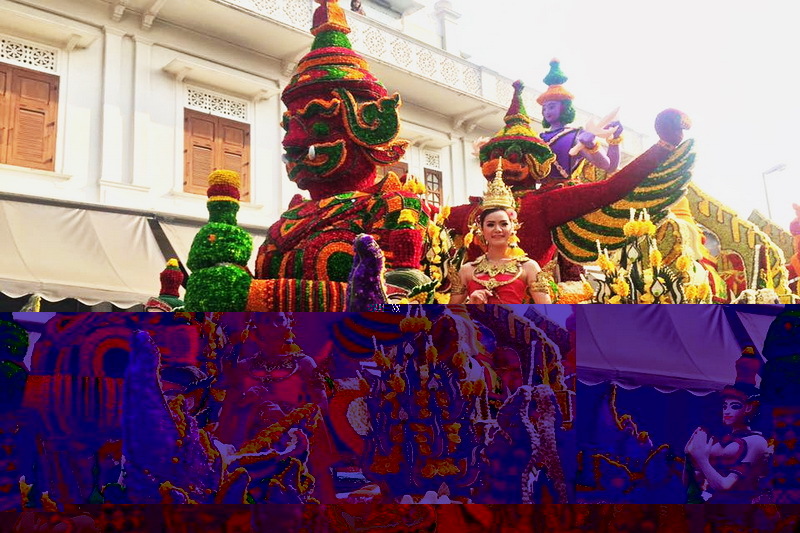 Inthakin City Pillar Festival is a uniquely Chiang Mai Festival. 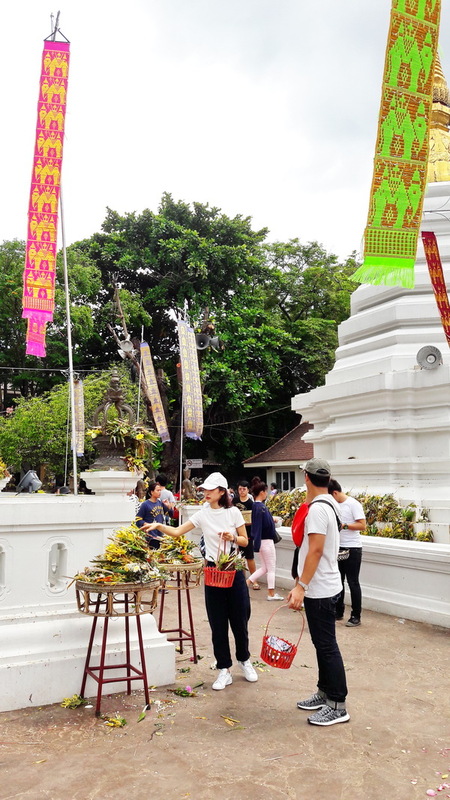 The citizens of Chiang Mai are given the opportunity to venerate the guardian spirits of the city, particularly the spirits associated with the City Pillar, known as Sao Inthakin (The Lord Indra’s Pillar). 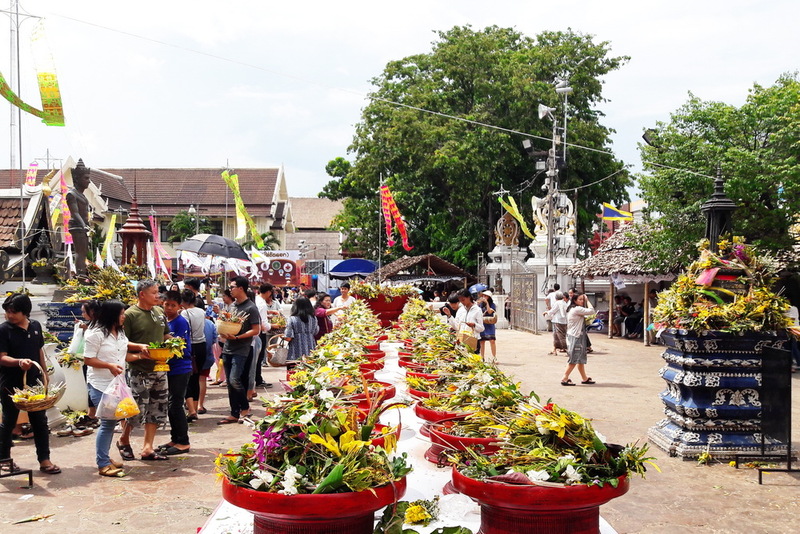 Inthakin is a festival dedicated to the worshiping of Chiang Mai’s city pillar. 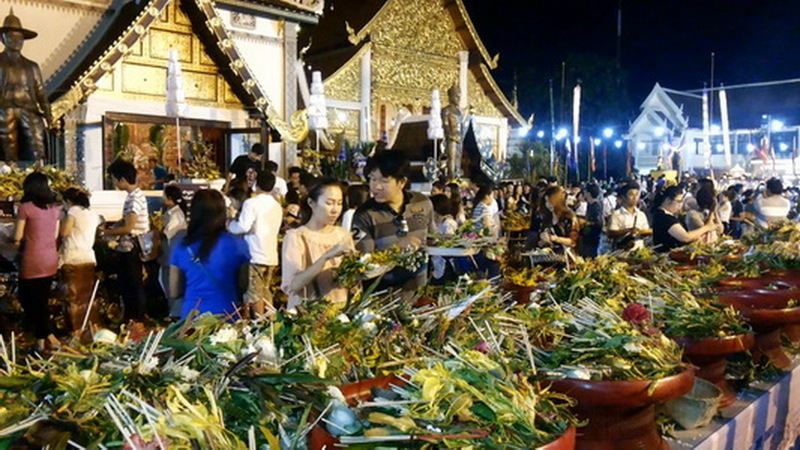 Flower offerings are made to the city pillar and locals venerate the guardian spirits of the city every May. The festival begins with a procession around the old town of the city. A Buddha image called Phra Fon Saen Haa (the Five Hundred Thousand Raindrop Buddha) is carried, blessed with lustral water and placed in the courtyard of the temple. After this the devotees are allowed to venerate the Buddha and the City Pillar, and to place flowers, candles and incense in each of twenty-eight bowls laid out on mats in the temple. The city pillar is located in Wat Chedi Luang, and is now enshrined underground. Its location is marked by a traditional Lanna style shrine and sits perfectly in the centre of the old city. 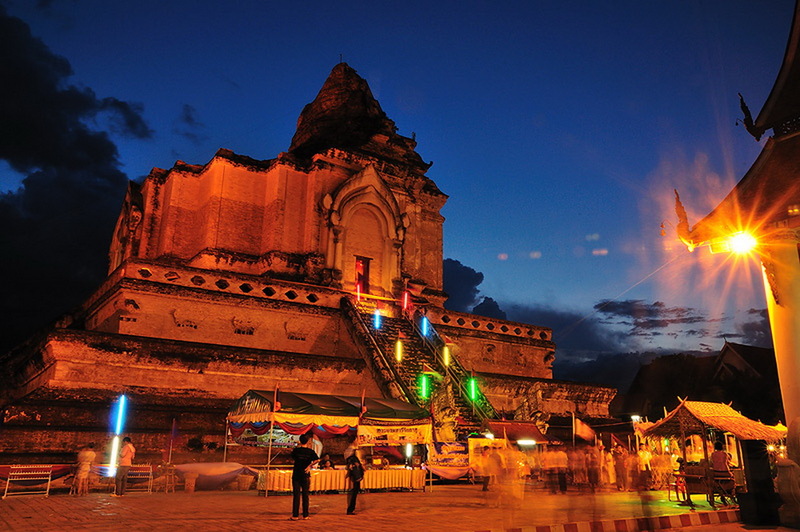 There is an ancient legend that tells the story of how the original site of Chiang Mai was a town plagued with demons. A hermit asked the god Indra for help and from the heavens came the Inthakin pillar to protect the town and the people from the demons. However, in time the people neglected the pillar and the demons returned and the town was left in ruins. In 1296, King Mengrai chose the site of Chiang Mai to be the new capital of the Lanna kingdom. King Mengrai found the old city pillar amongst the ruins of the town and was told the legend about the demons. 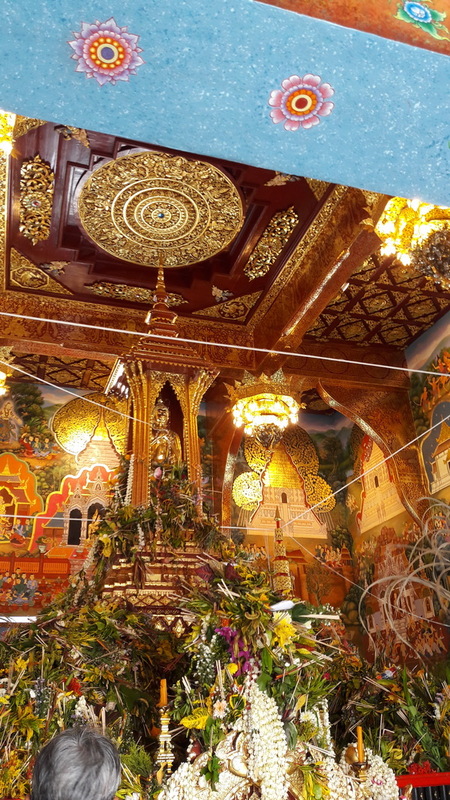 He sited the pillar at the geographical centre of the new city in a temple called Wat Sadue Muang. Today, the remains of this temple can be seen within the grounds of the Cultural Hall (just behind the Three Kings Monument) in the old town area of Chiang Mai. Finally, at the end of the celebration, another procession goes around the city moat. 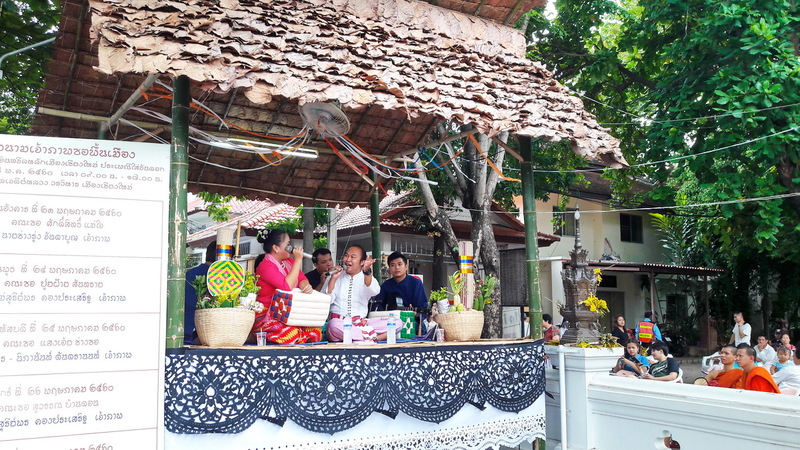 This ceremony, known as Tham Boon Muang (City Blessing) is designed to propitiate the guardian spirits of the moat and city gates, and to ensure the city’s prosperity for another year. 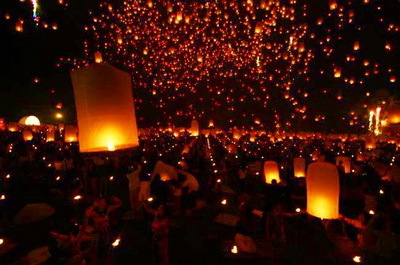 Ceremonies will be held in front of Chedi Luang temple throughout the week, beginning at 8am and finishing around 5pm.